From cozy corner cafés to the best artisanal shops, this is your ultimate guide to strolling Venice's Dorsoduro, San Polo and Santa Croce neighborhoods. 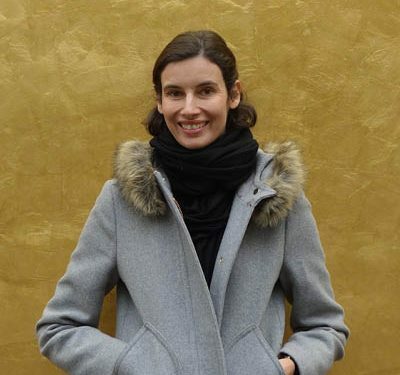 Indagare’s Creative Director Simone Girner, a Venice expert who first visited fifteen years ago and has returned four times since, recently scouted the city’s most authentic locations for an ideal afternoon of exploration. Read on for her perfect neighborhood stroll in Dorsoduro, San Polo and Santa Croce—including her top picks for where to eat and shop. If you’re staying on the Piazza San Marco side of the Grand Canal, take the Traghetto di San Samuele to Ca’Rezzonico and stroll along Calle del Traghetto to Campo San Barnaba, where you can have a cappuccino pick-me-up at Pane e Vino and pick up wooden children’s toys and great Venice cards at Signor Blum. Then, head across the small canal to Perla Madre Design, an artisan shop where Murano glass is re-envisioned into beautiful contemporary pieces. Walk up the nearby Calle Cappeller for a stop at Danghyra, a gorgeous porcelain store, and for more quality Murano, there’s L’Angolo del Passato a few doors down. For a break, stroll over to the scenic Campo Santa Margarita, one of Venice’s most atmospheric local squares, which has a small produce market and is lined with small restaurants. Al Bocon di Vino has a nice selection of sandwiches and bar seats overlooking the scene. For a more elaborate lunch, there’s Estro Venezia, a cute wine bar that is open all day. From here, it’s a short stroll to Campo San Pantalon, whose small catholic church should be visited for its spectacular ceiling painting by Gian Antonio Fumiani, as well as a beautiful Veronese. After a pick-me-up at Pasticcheria Tonolo, it’s time to head to the Scuola di San Rocco, where Tintoretto’s Sala Superiore remains breathtaking (even on a second, third or fifth visit). If you have another church in you (or, if you have never been), make it Santa Maria Gloriosa dei Frari, full of masterpieces by Vivarini, Donatello and Titian. Next up is a trio of shops, just across the Rio dei Frari canal: fun, wearable accessories at Il Mercante di Sabbi; gorgeous hand-made leather bags at Declare; and minimalist-chic fashion at Altrove. 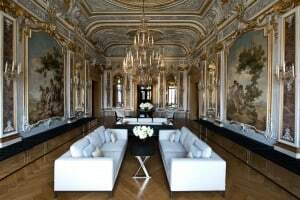 After, head to the Aman Venice for a well-earned Bellini or Spritz, enjoyed in the property’s stunning public spaces—or, for something more local and al fresco, take a scenic, ten-minute stroll through the heart of San Polo and claim a seat on the Grand Canal-facing terrace of Naranzaria. Contact Indagare to plan a trip to Venice. Our team of expert travel designers can recommend the best hotels, restaurants and activities for your interests.